American cities are slogging toward sustainability. It’s a long march, but a promising one, with little victories along the way. Rooftop solar canopies are now a thing, for one. What, though, for the country’s more remote corners? Can regions that have traditionally depended on municipal water and energy supplies outfit their properties in a similarly responsible mold? 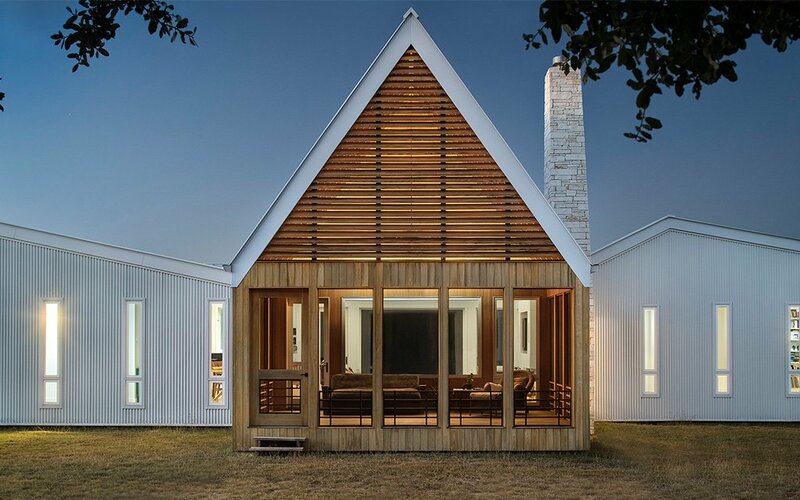 If you asked Austin-based Miró Rivera Architects, the answer’s uh, hell yes. 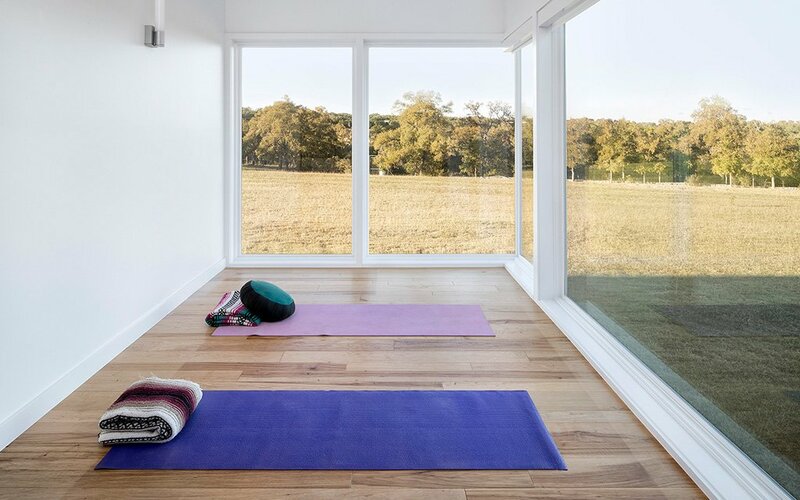 The studio’s Hill Country House, affectionately referred to as “The Sanctuary” by its owners, is a bastion in thoughtful bucolic design. 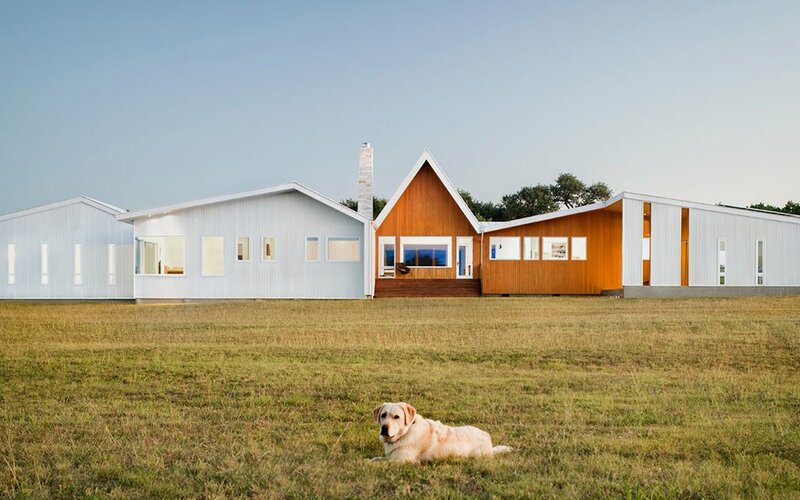 The recently completed farmhouse sits on 47 acres in Texas Hill Country (America’s unofficial border between the Southwest and Southeast) and despite its solitude, is entirely self-sustaining. 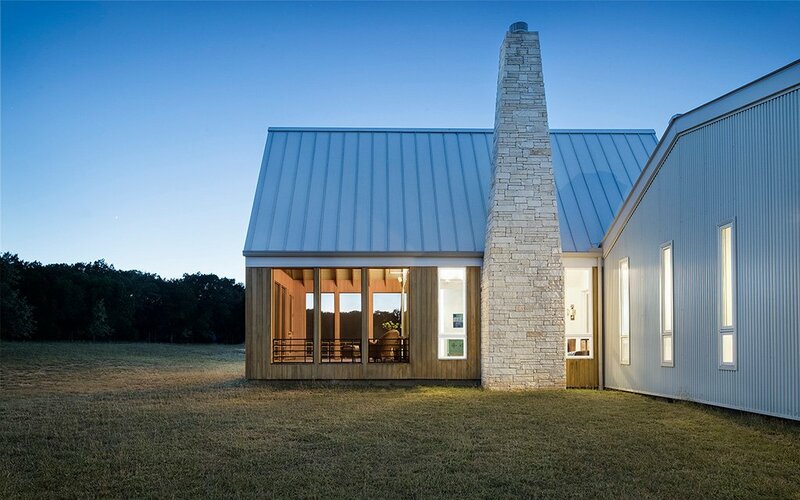 The Hill Country House received a 4-star rating from Austin Green Energy Building, and it’s not hard to see why. An 8-kiloWatt solar array tackles 80% (!!!) 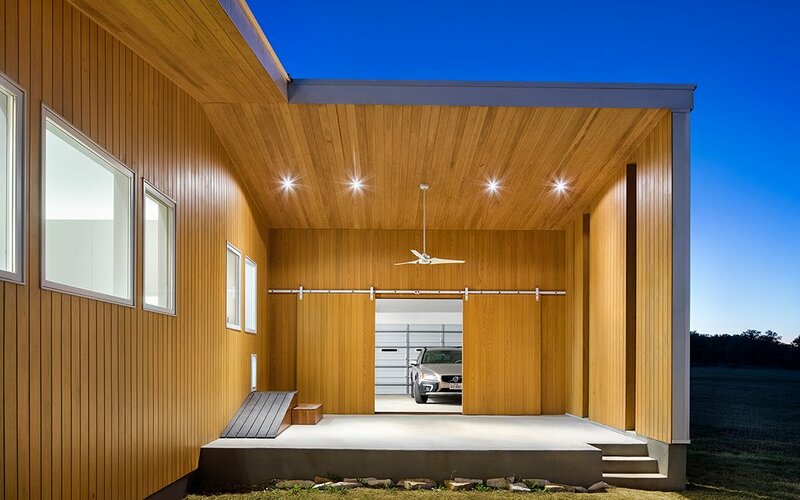 of the home’s yearly energy usage and a 5-ton geothermal system handles mechanical heating and cooling, while a 30,000-gallon rainwater collection apparatus meets annual water needs. Of course, it’s easier to convince people that they should consume thoughtfully when the home attached to all those initiatives looks like this. Hill Country was constructed using dry-stacked local stone, local cypress, pecan, corrugated metal and black soapstone. It is very nice to look at. 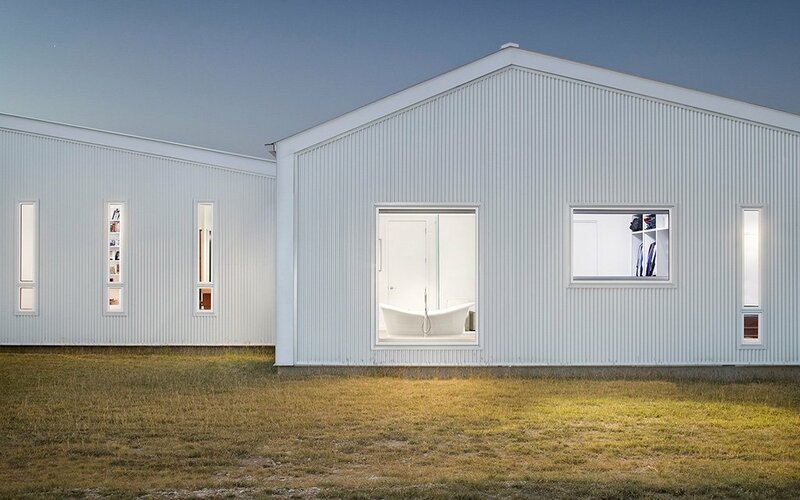 From the vaulted 30-foot roof on the back porc, to the yoga studio’s floor-to-ceiling windows, to the restrained white cabinetry, there are few bad angles here. Or bad vibes, far as Mother Nature’s concerned. Find more info on the project here.